The best books of 2017 – a recap of those books I rated as highly, or highly, highly recommended. BOOK REVIEW – REQUIEM FOR THE WOLF BY TARA SAUNDERS – 5 STARS. HIGHLY RECOMMENDED. “They told him that the Lost were animals. Crazed and brutal, they said, a danger to themselves and others. Hero, they called him, for providing the mercy of a clean death. They lied. The Tiarna Beo is a land frozen in the still moment between acts of savage violence. Forty years after a Purging that drove an entire race either into the ground or north through the mountains, every man watches his words and his neighbour. Only a fool draws attention to himself, and only the suicidal travel from the North. Growing up fatherless in a cold and grieving home, Breag had a clear vision for his future – a good woman, a family of his own and a quiet life. When his good woman betrays him, her confederates force him into the Tiarna on a mission to find one of the Lost and bring it home to be sacrificed. Mired in hopeless duty and wandering rootless among people who would kill him if they knew what he was, Breag struggles to hold on to the frayed edges of his humanity. I received a free E-Arc from Netgalley. This book, is quite simply, an absolute gem. Don’t get me wrong – it’s not the easiest read out there – but it’s well worth persevering with the slightly heavy writing style – which sometimes feels like wading through treacle (in a good way). The author does not, as opposed to some writers, waste a single word in this story. Everything is loaded with importance and each and every word must be read to fully appreciate the nuanced style of writing. I did, on occasion, have to backtrack and reread a paragraph or two. This is not a book to read while doing something else – it’s a book that demands your full attention, all the time, and one where you might have to take designated breaks just to absorb what you’ve read and to think about something slightly less dark and self-centred thoughts. There is a heavy Celtic? influence to the writing – the names of places and people may not roll easily from tongues unused to the elaborate words. Neither is the author the type to throw her entire world building at your feet within the first few paragraphs or sentences – no the world building unravels as deliberately slowly as the writing – but we need to know everything we’re told – there are no wasted words even here. The conflict between the Brotherhood, the Guard and the Daoine – all with old hurts and new ambitions to temper their relationships with each other, provides a vision of a desperate world – a world on the brink of something – we just don’t know what. Everyone in this book is scared of something being revealed against their wishes. The book centers around a number of main characters – Breag, Sionna, Carad, Cu, Tarbhal and Laoighre. None of these characters is simple (apart from maybe Cu but even he has his secrets) and none of them is a simple goodie or baddie, they all have back stories and carry life’s judgments like a weight around their neck. This is no simple tale of good vs evil. There are too many lies and half truths from all of them – they all have something they wish to accomplish and seem content to do so at others expense and in the end, the ones who accomplish the most, are those that manage to bend their wants to the reality of events, and you have no idea who that’s going to be. Every betrayal is a fresh wound to the reader, and every success heavy with the scent of future failure. This book got into my head and stayed there. Perhaps a simple tale, exceeding well told, or perhaps a more complex one, I genuinely think that the reader can take away from the story what they want but I doubt that many will be able to skim read this and will find themselves sunk into the Tiarna Beo and wishing for much, much more in the future. P.S. You may have guessed that I liked this book – read it, please! Don’t let it get ‘lost’ in the huge number of fantasy books out there. I’m not sure that the ‘blurb’ does it justice. The story is about much more than just Breag. Wow, what a stunning debut novel. I’ve never read any Roman themed novels before the last few weeks, but it would seem that they are both very popular and really rather numerous (I think this is now my sixth or seventh). That said, the books that I’ve read have, more of less, dealt with similar time periods and events. In the case of this novel, I’ve not long since read The Young Nero by Elizabeth George which follows Nero through his younger years and this novel seemed quite a perfect follow up. This novel, however, is far more wickedly complicated and an absolute delight to read. It has a fast pace and is a very easy read. A note for future readers – do take account of the chapter headings – the novel moves through many different points of views and through two different time periods, as well as occasionally going backward in that time period. It sounds complicated, but it’s a brilliant way of unravelling the events of the novel. I think it would be fair to say it’s a fairly simple story told in a complicated way – it’s about intrigue in the Roman Government during the AD 60’s-70’s – but it is also so much more than that because of the multiple point of views. This allows the author to decipher events as others see them, with all their attendant prejudices, worries and fears. It is, it must be said, as complex as the House of Cards and as much fun. The portrayal of the corrupt nature of the Roman Government is done very well – I garnered much more from this novel about events in Rome and the wider Roman Empire than I did The Young Nero. The two timelines, interwoven throughout the novel, eventually offer explanations to the events taking place in the later timeline and while some may find the storyline a little far-fetched, I found it to be told in such a believable way that I had no problem allowing the author to take me down a slightly unconventional route. My only slight gripe is that I’d assumed this was a standalone novel, and clearly it isn’t, which means I’ll have to keep my eye out for the next novel because I am incredibly keen to read more about Barbaree’s reimagining of Ancient Rome and his Deposed Nero. The final book in the Fitz and the Fool trilogy. First things first, I love the Robin Hobb’s Fitz books. I’ve tried to read other books of her’s set in the same ‘universe’ and struggled to varying degrees – I did best with her Dragon books and failed magnificently with The Liveship Traders, but this is not because the books are bad, not at all, it’s because Fitz and his Fool and the Wolf are absent from the books and it’s those characters, as well as the many others that populate her three Fitz trilogies, that draw me into her richly imagined word. This, is the final book in the third trilogy, and it is an absolute monster, coming in it at over 900 pages, but oh, how I warred with myself. I didn’t want it to end, and I was equally desperate to get to the end; to know what finally happened to Fitz. I tried to stop myself at 45% of the way through but found I was unable to, oh, and you’re kept guessing until the very, very end – so don’t be thinking that anything is going to be resolved any sooner than that. These stories can be laboriously slow – taken up with one of the things I most hate about epic fantasy – the constant travelling and journeying to new countries – but somehow Robin Hobb gets away with it in ways I will not allow another author to do. Each detail is beautifully drawn out, and you’re left wondering how she has the patience to craft her stories so precisely and so well. There is no hint of a headlong rush to the end, and none of the characters are skimmed over – each is allowed to fully evolve and have their due time on the page and in the reader’s mind before the inevitable conclusion. I can’t gush enough about how wonderful this final book was – it didn’t feel final for the vast majority of it – it’s not the work of an author giving a few more pages for a host of adoring fans – but rather a fully rounded and complex story. This third book still has much to offer readers, and I’m left wondering where Robin Hobb will venture next – will the story of the Farseers continue? (as really it must) or is this a fond farewell to the whole world of dragons and Skill users she’s evolved over the differing trilogies? What I know is that I cried when I should have done, and left the trilogy feeling as though a job had been exceptionally well done and my own half-formed hopes and dreams for the characters had been both wholly-wrong and yet also rightly achieved. I can’t recommend this book enough and for all those who’ve not yet read any of the three trilogies, I can feel only envy that you still have it all to come. And you can buy the book here when it’s released on 4th May 2017. A tale of treachery, power-hungry families and legal subterfuges. Woven through it is a remarkable story of a beautiful girl, desirable as a bride, growing to be a woman of foresight and power. I received a free E Arc from Netgalley. The Shadow Queen is a fantastic read. Very well paced from beginning to end, it charts the life of Joan of Kent, the cousin of King Edward III, who is a prominent character throughout the story. 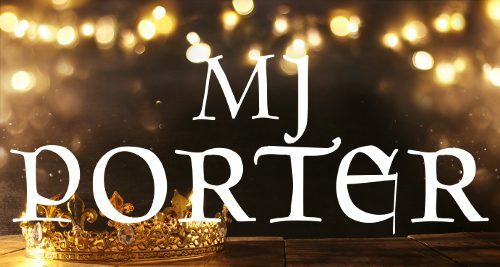 I always enjoy it when an author finds a 'new' historical character to offer to their readers - for too long the Tudors and the Wars of the Roses have garnered far too much interest, as have the few women who were prominent in Medieval Times - Isabella of Castille and Elearnor of Aquaitaine. Often, no matter how hard an author might try, historical events can only be manipulated so much and I much prefer a fresh story. Joan is an acerbic character - and some of the best passages in the book stem from when her nature is allowed to fly free - this is often when speaking to the men in her life - but at these times the characters feel very alive and real. So beguiling is she that I found it difficult to put the book down and read it in two days, even though I was supposed to be reading another novel. I don't wish to spoil the nature of the story - for the unravelling of events around Joan is one of the author's strongest story telling techniques - suffice to say while some elements of her life garner slightly too much time in the novel, and others a little too little - the story is fantastically well crafted without dwelling too much on romance and matters of the heart because this isn't in the strong willed nature of the Plantaganet Princess, who is only too aware of her own power and strength because of her blood. 5 stars and a highly recommended for this story. I would, however, have liked some longer historical notes at the end with more details about Joan as opposed to the royal family members she interacted with. So there you have it, the best books of 2017 that I was lucky enough to read. I was quite surprised by some of them – reading outside my favoured genre and all – and some of them just surprised me because of their sheer brilliance! Here’s to 2018 and a whole raft of new books to read.